Please fill up the following form to request a quotation. 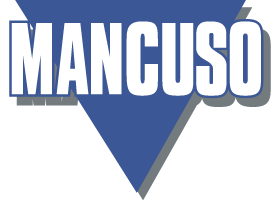 If you have any queries about the product and services offered by Mancuso Paving Ltd, then please do not hesitate to contact us. We would welcome any preliminary or detailed project enquiries. Your privacy is very important to us, to better protect your privacy we provide this notice explaining our online information practices and the choices you can make about the way your information is collected and used. We collect information from you when you request a quotation or send in inquiries. The information we collect from you is your name, address, email and phone number. To effectively complete your request, inquiry or concern. To personalize your experience (helps us to better respond to your individual needs). Improve our website by information and feedback provided. *Your information whether public or private, will not be sold, exchanged, transferred, or given to any other company for any reason whatsoever, without your consent other than for the purpose necessary to complete your request. To prevent unauthorized access, maintain data accuracy, and ensure the correct use of information, we implement a variety of security measures to maintain the safety of your personal information when you submit or access your personal information online. Occasionally, at our discretion, we may include or offer third party services on our website. These third party sites have separate and independent privacy policies; we therefore have no responsibility for the content and activities of these linked sites.